The image was desaturated and resized. It shows classical afocal vignetting. The left hand side of the image is the terminator and the right hand side is the vignetted field of view. We have already seen in previous blog entries that one of the SAS members obtained quite acceptable afocal images with an iPhone. This entry adds yet another photographic device that can be used for simple afocal astrophotography. 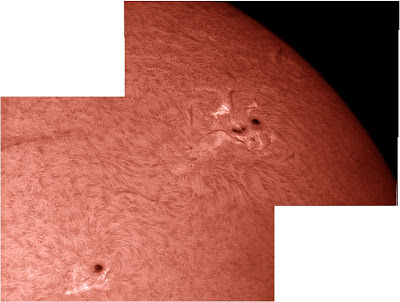 In addition to the two active regions, a large filament is arching over the chromosphere. 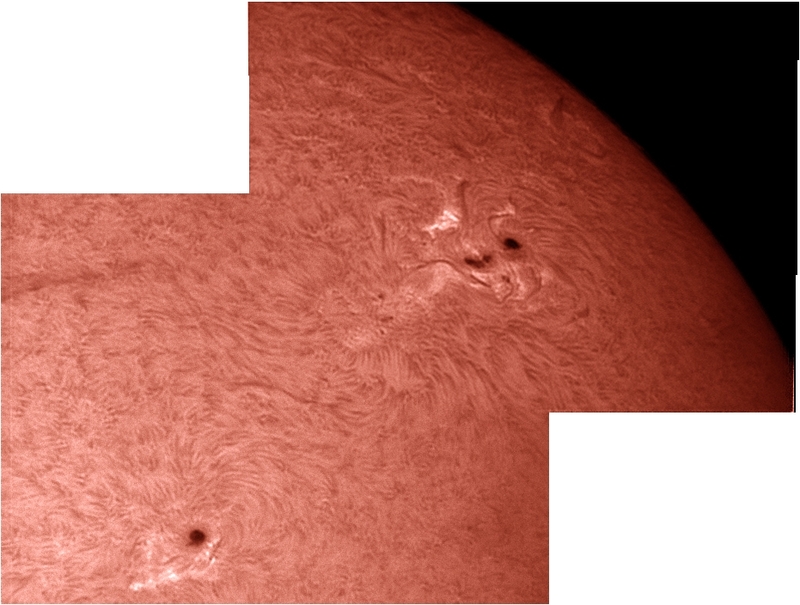 The twp active regions AR1302 and AR1305 are approaching the limb. Two overlapping AVIs of 10,000 frames each were captured. The best 300 frames from each AVI were registered and stacked in Registax 6 and then merged into a mosaic. The final image was colourised to represent the wavelength used.